BHAKTAPUR, April 15, 2014 - Nepaleses carry the chariots of various gods and goddesses during the traditional "Sindoor Jatra" festival at Thimi, Bhaktapur, Nepal, April 15, 2014. 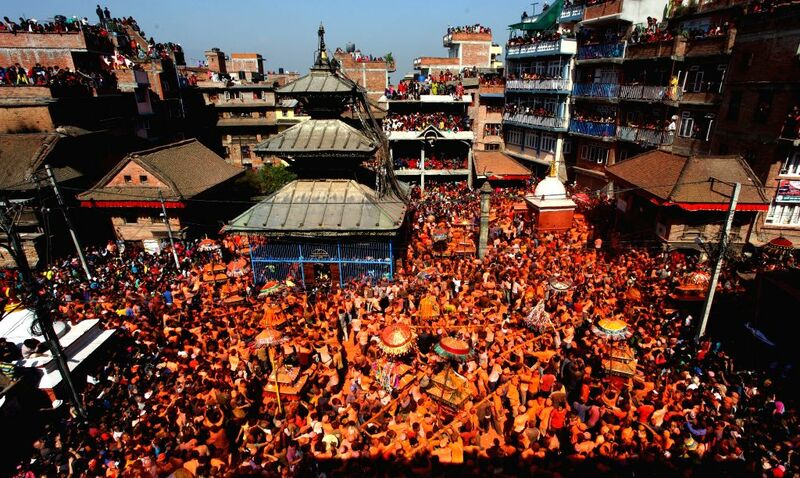 The festival is celebrated to mark the Nepalese New year and the beginning of spring season by carrying 30 chariots of various gods and goddesses around the town. Nepaleses carry a chariot during the traditional "Sindoor Jatra" festival at Thimi, Bhaktapur, Nepal, April 15, 2014. 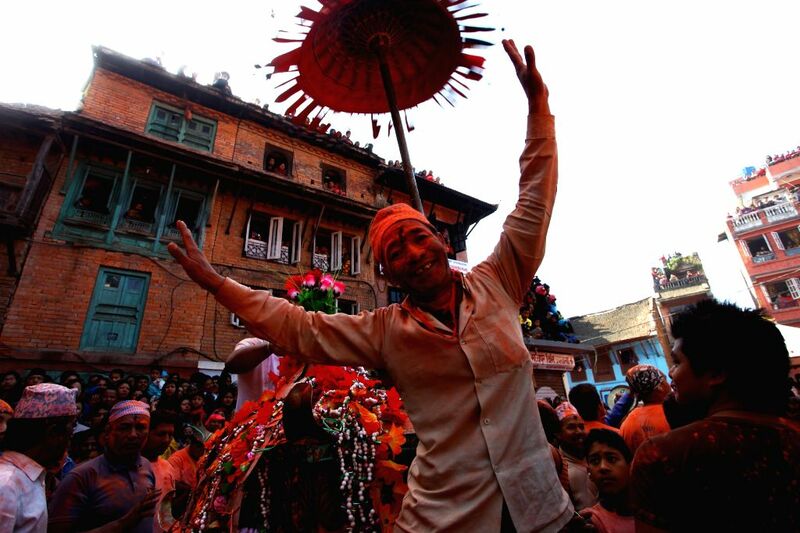 A Nepalese man dances during the traditional "Sindoor Jatra" festival at Thimi, Bhaktapur, Nepal, April 15, 2014. 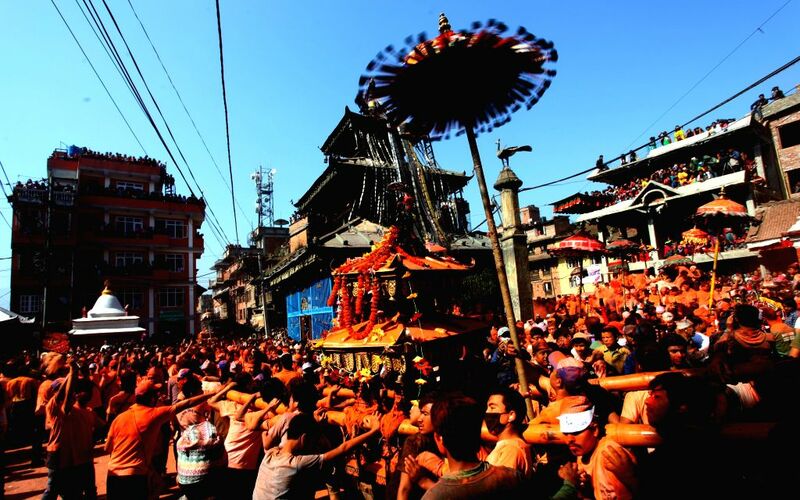 The festival is celebrated to mark the Nepalese New Year and the beginning of spring season by carrying 30 chariots of various gods and goddesses around the town. 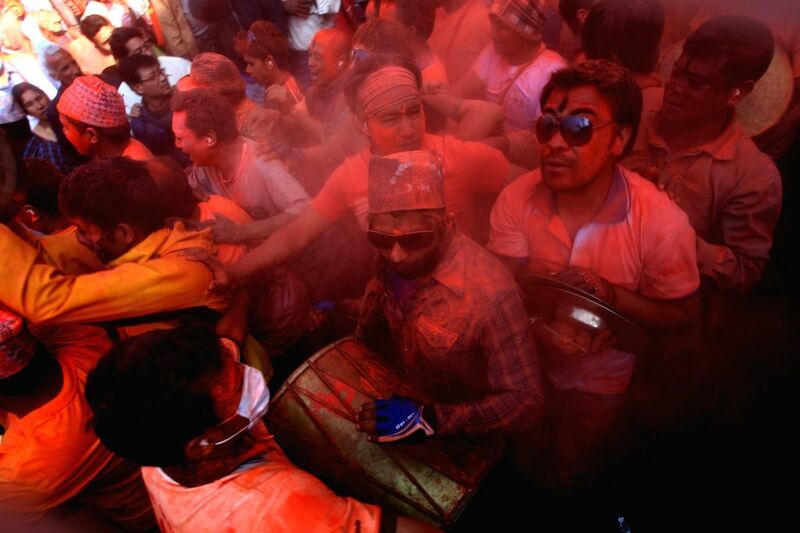 Nepaleses throw vermilion powder during the traditional "Sindoor Jatra" festival at Thimi, Bhaktapur, Nepal, April 15, 2014.